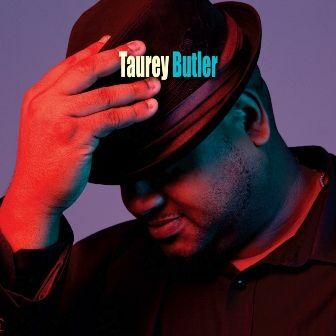 A phenomenal jazz pianist of the highest calibre who has moved thousands of people with his extraordinary talent, Taurey Butler will release his new, self-titled album on October 25 2011 (Justin Time Records). The recording consists of new interpretations of old standards as well as some fresh originals.Born in East Orange, New Jersey, Taurey Butler studied piano from the age of seven until he was 14. He stopped lessons for a few years as he felt uninspired by the music that was presented to him. Hoping to revive Taurey's interest, his high school teacher gave him a CD of Oscar Peterson. It was a revelation!Since then Taurey has played in numerous cities across the world from Hong Kong to New York and now Montrealers have the opportunity to hear him perform regularly at the House of Jazz.People often comment on his resemblance to the young Oscar Peterson, both in appearance as well as his winning combination of hard swing and melodic invention. Gratifying as it may be, he backs away from the compliment. "There's only one Oscar," he says. But there is no question that the one Oscar Peterson had a profound effect on Taurey's life and his music.He has performed at notable venues and festivals including The Blue Note, The JVC Jazz Festival, and The Cotton Club in NYC, as well as the Detroit Jazz Festival and the New Orleans Jazz Festival.Taurey's astounding talent has also allowed him to perform with many renowned artists, some of whom have won Grammys. This list includes Eldee Young (bassist for the Ramsey Lewis Trio and his own acclaimed group Young-Holt Unlimited), Ernie Watts, Carmen Bradford (the last vocalist to sing with Count Basie), Bobby Durham (drummer for Oscar Peterson, Ella Fitzgerald, etc. ), George Hughes (drummer for Dizzy Gillespie, Sarah Vaughan), Dave Valentin, Ralph Peterson, Kim Plainfield, and Pucho and His Latin Soul Brothers. He has also opened for Tito Puente and Ray Charles.From 2000 to 2007, Taurey played with Eldee Young's trio at jazz venues in Singapore, Hong Kong, Dubai, and at Bangkok's premier jazz room, The Living Room. It was after Eldee's passing in 2007 that Taurey began to think of moving forward with his own music again.With his recent debut as a leader, Taurey is taking this opportunity to establish the sound of his trio through writing and developing his musical ideas. There is no doubt that this gifted pianist will continue to make his mark on the music world of Montreal and beyond.